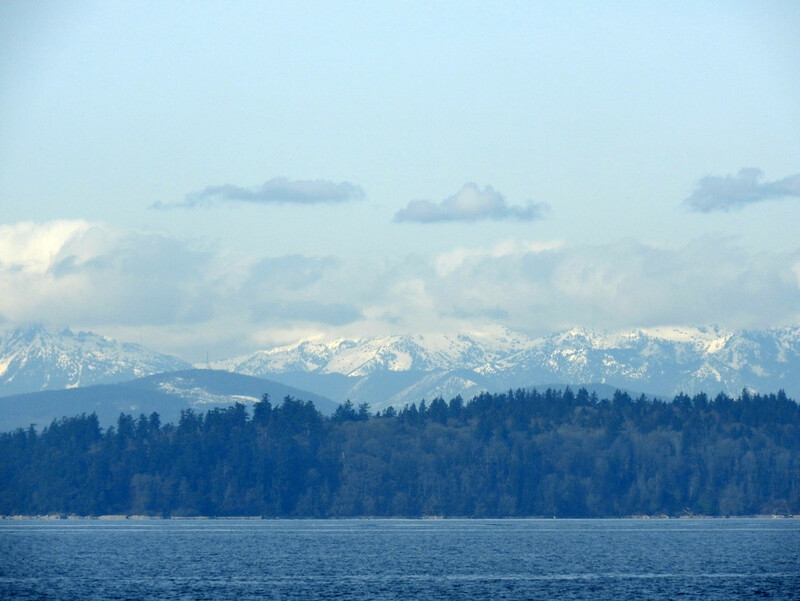 In the forefront, is Kitsap Peninsula; and the Olympic Mountains are located on the (you guessed it) Olympic Peninsula. Yesterday morning I was out and about earlier than usual and took this shot. Thanks for stopping by. Enjoy your weekend. So pretty and I love the layers. Great use of layers and textures to create this landscape. I like the layers of blue, so pleasing to see. Did you add the vignetting? @jyokota I noticed that too but I did not edit this expect to fix the exposure. I'm wondering if its the edges of clouds. Another lovely shot of the gorgeous area that you inhabit, Gloria. Love this! A posted a similar image today. Lovely layers here. Beautiful shot and view of the mountains. You are lucky to have them so close. Lovely layers of blue tones! Beautiful shot- the mountains are stunning.